Sonya’s house is instantly recognizable from the street. Located in a quiet neighborhood in a productive (and beautiful) agricultural area just over an hour west of Frank Lloyd Wright‘s iconic Taliesin, the home is distinctive not only for its striking color and rooftop solar array, but for large windows on two floors that offer a sneak peak inside and a flood of natural light. The second thing you notice inside, apart from Sonya’s inspired interior design largely influenced by her Dutch and Finnish heritage, is how warm and airy it is – even as the temperatures outside turned decidedly cold in the last couple of days. With 18-inch-thick walls, no energy escapes this home, which is heated with four small heaters that generate a combined 1300 watts. Almost all of the interior furnishings have been either recycled, salvaged or sourced from sustainably-managed forests, including tiles made in part with ground up porcelain toilets, and the home conserves water, energy and space at every turn. In addition to built in bookshelves and benches, storage is built into the bottom steps, and then instead of installing a basement, Sonya built a ‘stuga’ – a separate storage area / guest room inspired by Swedish tradition that even has a root cellar for storing winter vegetables. Connected to the main house via a breezeway (complete with an outdoor shower! ), this space is heated with a wood-fired stove – but only when necessary. 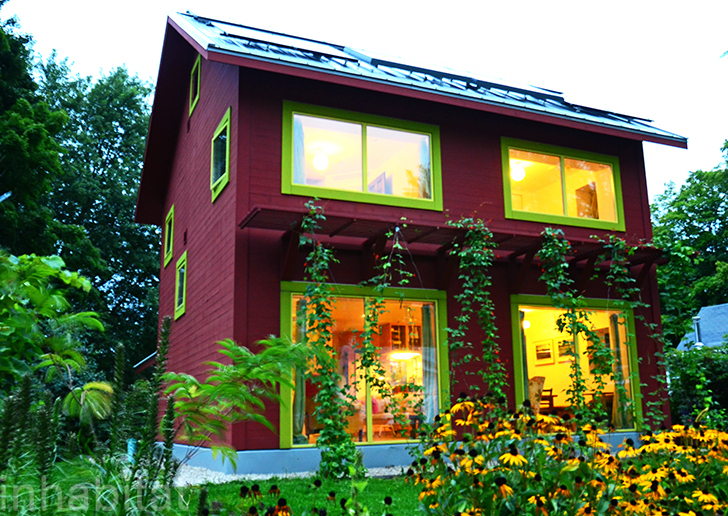 The first NewenHouse was designed by Dina Corigliano and Carly Coulsen was the passive house consultant on the project. If you’d like to talk to Sonya about her home and upcoming kits, or if you’d like to stop by for a visit, she welcomes you to contact her either by email at [email protected] or by phone at (608) 220-8029. First: the new ad model intruding a five second lag into every 5th slide-show picture is INCREDIBLY annoying, bye-bye Inhabitat. Second: a hair dryer can consume as much as 2.8kW. Here in Italy, maximum TOTAL household electric consumption is 3kW (a fuse blows if instantaneous power-consumption exceeds 3.3kW). 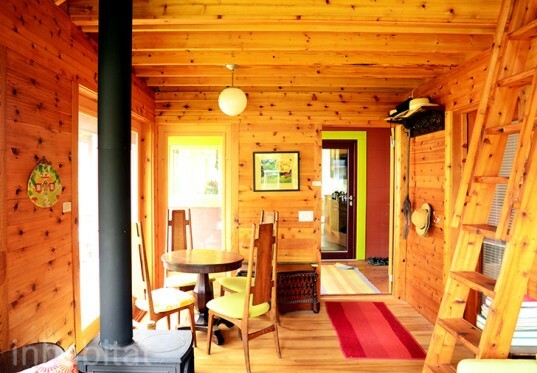 Third: wood stove + small house = no problem (yes, I've lived comfortably in a NH cabin with only a wood stove). Finally: It does look like a nice house, at least from the first 4 pictures. If you do not include the total cost of the home to build, it is not helpful to the reader. If it is cost effective to build - great!. But if it cost 1 million dollars, who cares? Great job Sonya. These are the houses of the future. Stick built houses are ready for an update in technology since their inception in 1833. Efficiencies in building technology allows for enormous energy savings and efficiency. We offer Structurally Insulated Panels with the same efficiency properties as the NewenHouses. Check us out (www.ladacube.com). Love this! Beautiful & efficient plan. A small garden in the corner of the yard for the other vegetables. Now for more people to implement this idea! Very interesting. I would love to know what the actual materials used to construct this home were. What are the walls constructed of? Interesting how the ventilation problem is solved. Airtight means no ventilation and a lot of humidity i.e. mold i.e. no good. Ventilation on the other hand means loosing warmth. I built a passive home by increasing wall thickness and insulation ratio and placing windows on south side where I also have shade in summer. ratio to biomass of wall versus window is 7% for windows on south side. Also used wood windows clad with vinyl on outside. first floor has porch above to protect from sun. A screen porch also protects one large french door from sun at mid day in summer. Saved about 30 % electric bill or more year round. Front porch on north side protects from wind and snow fall.Better not to have steps on north side if possible. @Sonya, I am really interested in your home. I have a desire to build a small place for myself, and have it as sustainable as possible. I also am in need of a plan to downsize, and a small place would demand this of me. 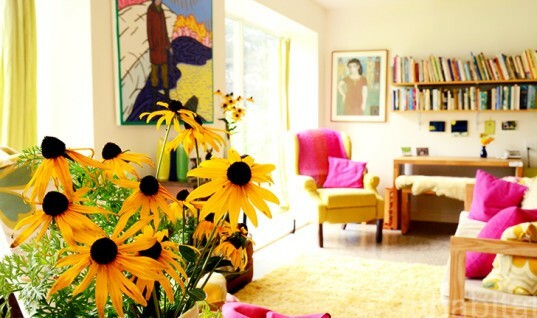 I love your place, initially I thought of a small home with a loft for visitors, but your idea seems much better. I will continue to follow your company on this site. I hope to make the trip for your open house in Oct. Thank you, Donna D.
Who is working on passive retrofits? The country/world can't rebuild the entire housing stock. We must "retrofit forward." Efficiency needs to be the new growth. Quality improvements will require skills that are rare or non-existent. As a friend once said, "All renovation is custom and therefore time consuming skill." We can't wait for 3-D printing Who is leading on this?